On March 20th, the Ohio Chapter of Partners in Amphibian and Reptile Conversation (PARC) held its 2nd annual meeting. 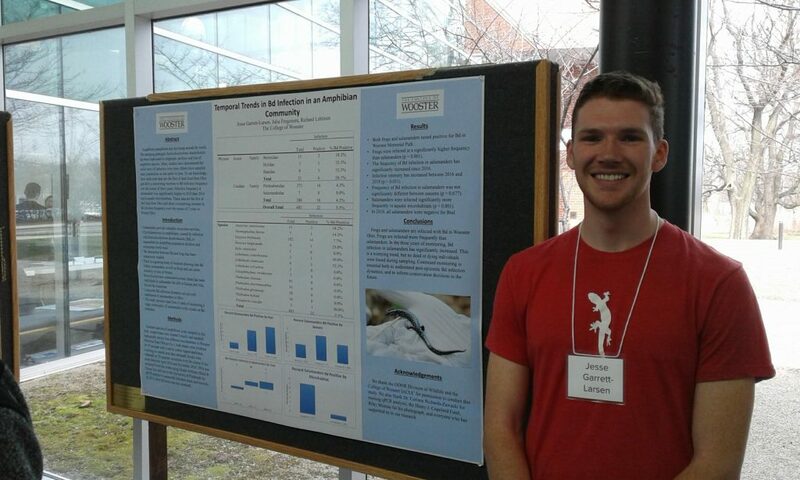 My student Jesse Garrett-Larsen (’19) and I attended and presented this poster on our work on monitoring of an amphibian fungal pathogen. Nice work Jesse! 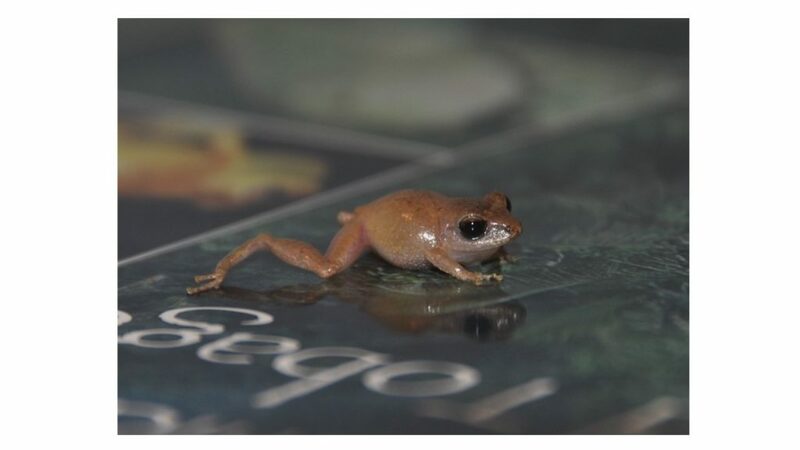 Two more new species of Guibemantis (one named after the College of Wooster)! 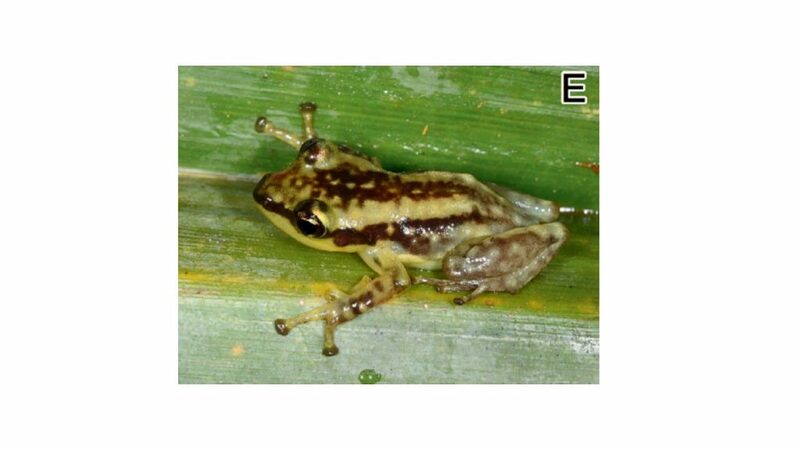 Recently, two colleagues and I described two more new species in the frog genus Guibemantis. This brings the total number of species in the genus to thirteen, more than doubling the known diversity in this group in less than ten years. One species from Marojejy National Park (Guibemantis woosteri), we named after The College of Wooster, my professional home. Go Scots! 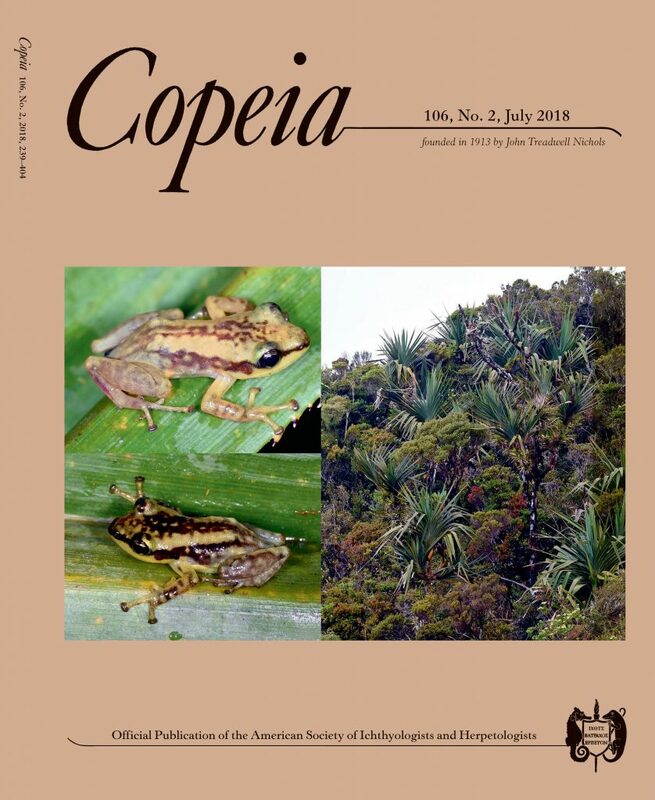 Made the Cover of the July 2018 issue of Copeia! Body coloration is important to organisms for a wide range of reasons including mate attraction, camouflage and thermoregulation. Short term changes in body coloration in frogs have been reported for a number of species and may be quite common. However, this phenomenon is widely under-reported, especially from the tropics. 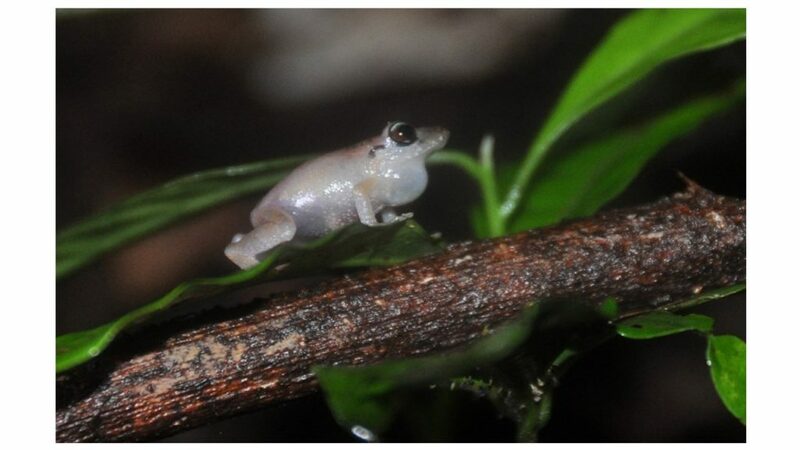 Here, I report color changing ability in Urich’s robber frog (P. urichi, Craugastoridae) from the islands of Trinidad and Tobago. At 2000 h on 4 August 2012, numerous calling males were found on the north slope of Cerro del Aripo in Trinidad. Males were calling on low vegetation less than 0.5 m off the ground. All calling males were light pink in color except for the supratympanic fold which remained dark. Calling male P. urichi from Trinidad. Five of these males were collected from the field as vouchers and placed individually in plastic bags. The following morning (approximately twelve hours later) all five individuals had dramatically changed color to a deep brown with various lighter stripes and/or blotches. Same male, 11 hours later. At 2400 h on 23 January 2013, another calling male was found west of Englishman’s Bay in Tobago. This male was calling approximately 1 m off the ground inside a rolled up dead Heliconia leaf. Similar to the observations from Trinidad, this male was a light beige or pink color while calling, though unlike in the Trinidad specimens, the supratympanic fold was not darkly colored. 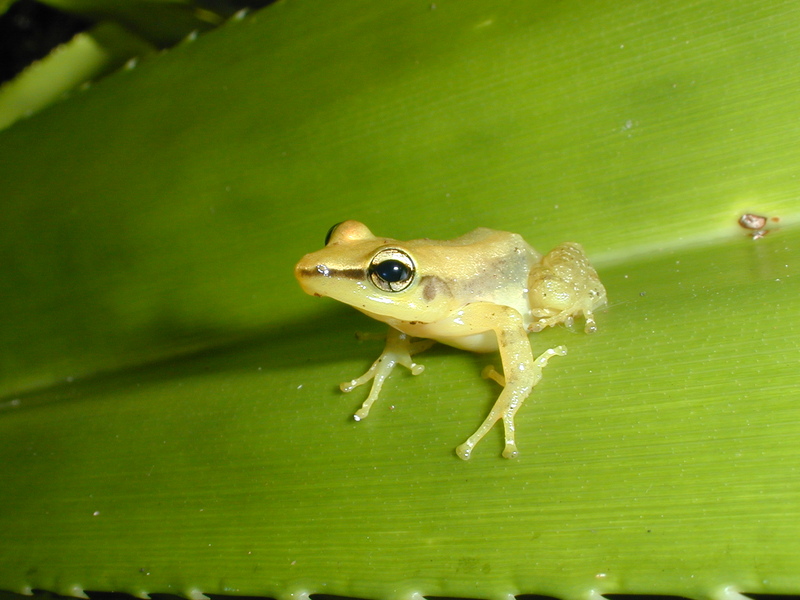 Male P. urichi from Tobago. This male was collected as a voucher and approximately nine hours later it had also changed to an overall deep brown color. Same male nine hours later. 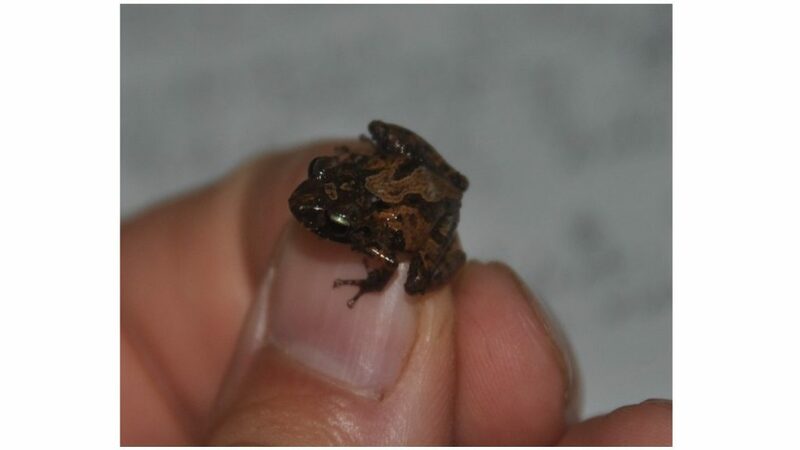 These observations suggest that Pristimantis urichi is capable of substantial color change over relatively short time periods. 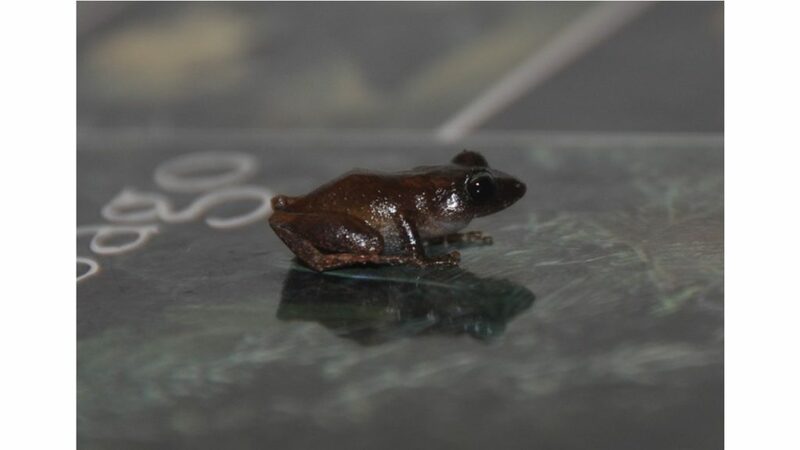 Other workers have reported on the highly variable coloration of this frog and the individual color plasticity reported here likely contributes to these earlier observations. Further studies on the behavioral use and mechanisms behind this color changing ability would be useful! Note: Voucher specimens were deposited in the University of the West Indies Zoology Museum (UWIZM). I also acknowledge the Trinidad Department of Forestry and the Tobago House of Assembly, Department of Natural Resources and Environment for research and collection permits. Thanks to Adrian Hailey for help in the field and Mike G. Rutherford at UWIZM for data on specimens. 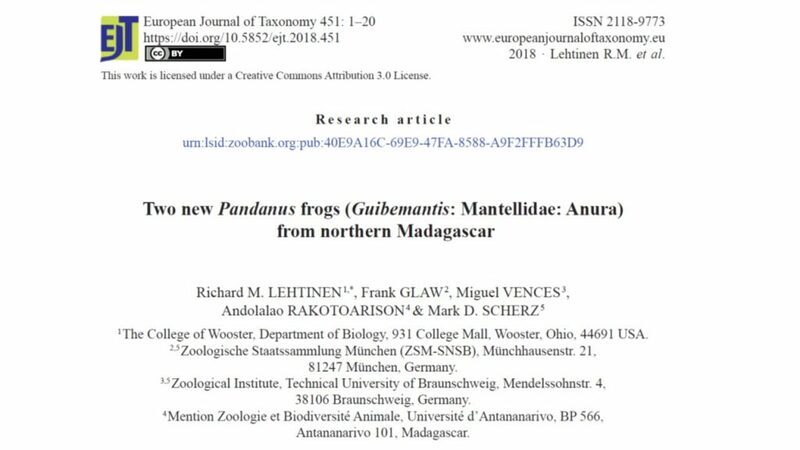 My colleagues and I have just published a paper describing a new rain forest frog in the genus Guibemantis from northern Madagascar. 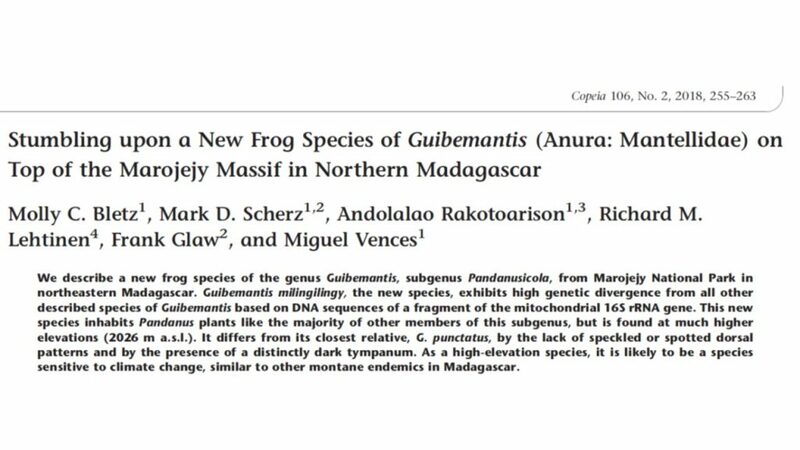 We named it Guibemantis milingilingy, the latter part of which means “in an uncomfortable position” in Malagasy. This refers to the difficulty of accessing the leaf axils of the Pandanus plants in which these frogs live in Marojejy National Park. Congrats all!